Sometimes minimalism speaks volumes when decorating. Especially during the holiday season when you have Christmas trees and an abundance of other seasonal décor. Growing up we always had real Christmas trees and it has been a tradition that I have missed since becoming an adult. So, I was over the moon when Green Valley Christmas Trees asked me to partner with them this season. This was originally a contributor post on Jennifer Rizzo Design Company. 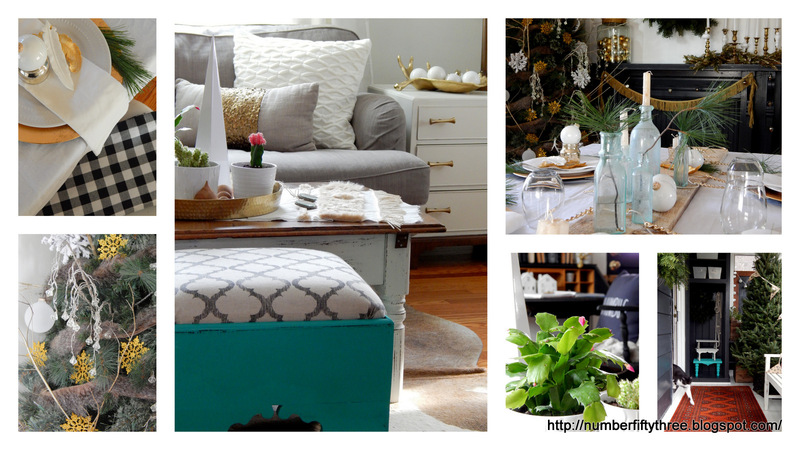 If you've followed my blog for any length of time than you know that I love adding in unique elements to my décor. Recently, I made this no sew boho table runner and it was so simple! And, really, the options are limitless depending on the fabric and trims that you choose. I'm so excited to share my latest entry for The Fab Furniture Flippin’ Contest with you all! This tends to be my very favorite part of each month as we have some amazing sponsors; many of which are new to me. Every free moment I've had this week has been devoted to getting our home ready for an upcoming Christmas home tour, and I wanted to share some tips on getting the look you want for your Christmas tree on a budget. Today, I decorated our table top tree that is in our living room. I'm going to be honest...Christmas decorating stresses me out. It just seems like you have to add so much to your home and the colors never really seem to mesh with our existing pieces. This post was originally shared at Jennifer Rizzo Design Company. I am so excited to share this modern little craft with you all! I have long loved the combination of antique with modern and I think this little area of my living room perfectly embodies that. Despite my actual complete love for all things autumn, I know, being a blogger, I pretty much have to dive into Christmas as soon as Halloween passes in order to have our home camera ready in time. So, I've spent these last couple of days since I returned from the General Finishes Expo in Chicago (it was so fabulous, by the way) getting my winter craft on. One project I tackled was to create this boho inspired winter wall hanging. The lovely, warm white yarn makes it perfect for months of decorating. Anyway, I added molding and painted the wall part white to match our trim to give the entire space more definition. I have it really simply decorated right now...just a pile of white pumpkins, a plant, books and candles. All kind of moody, with hints of fall. I love using black in later autumn, because it does seem like a darker time of the year; it's cold, the trees are bare and daylight is short. 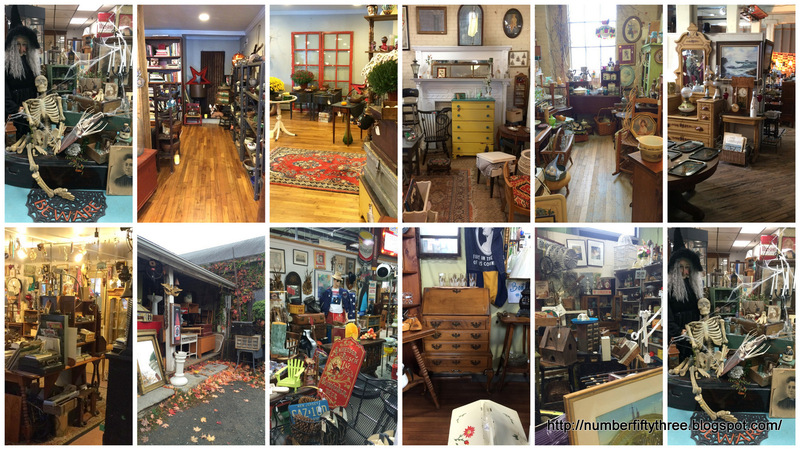 This is another post in our Antiquing Road Trips series. To see more, click on the tab above. It seems like the last few months have been a whirlwind of work + home renovations, with very little opportunity for relaxing and play. This past weekend, we headed out on one of our antiquing road trips to some of our very favorite stores to unwind and I am so excited to share them with you all! Earlier this week I was testing out some decorating ideas for the holiday season (yes, I know...way too early, but Christmas is not entirely my thing so I need plenty of planning time). Anyway, I'm kind of smitten with these super easy wood candlesticks I made. I intend to do more, in various sizes, but I thought I would share my first batch with you all....BTW, totally thinking these would be amazing for Thanksgiving on either my dining table or mantel. Welcome to my Halloween Home Tour! I love the entire autumn and Halloween season so incredibly much. This is truly my favorite time to decorate! You might remember a couple of months ago we bought an antique bakery cart for our dining room (here). I had been looking for one almost since around the time we bought the farmhouse, about a year ago. So, I was super excited when I found this one at a great price, with chippy paint in the perfect color and that was still in sturdy condition. I had it decorated really simply, because honestly, the shelving is quite challenging to work with. They are all dowels, some of which roll and all of which are bowed from years of use. I'm not at all complaining, because I couldn't be more in love with the history that are behind these old pieces. I seem to run into a certain problem more and more lately. I'll have a vision for a certain decorative item in my mind and search everywhere for it with zero success. 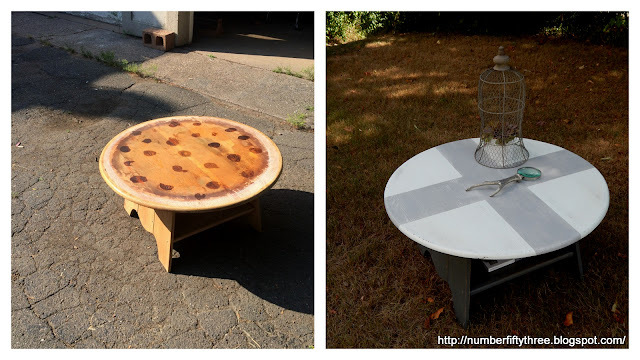 This month I once again took part in The Fab Furniture Flippin’ Contest and I am so thrilled to share my project with you all! We were so lucky to have the sponsorship of Spoonflower this month! I have been pining over their fabric choices for what seems like forever, so I am just beyond thrilled to show you all my project piece. I have a little different makeover to share with you all. Whenever I have to replace hardware on a piece we are working on I tend to gravitate towards the vintage inspired glass knobs. They are undoubtedly my favorite and tend to work universally well on all eras of furniture. However, on this dresser I felt inspired to take it to a really feminine level and use these gorgeous Aged Ceramic Coral Knobs from D. Lawless Hardware. When you pair a girl who is a life long New Englander with a guy who was raised in Indiana, it's inevitable that we would love to eat corn. It's honestly my favorite part of summer. And, we were so thrilled to have found some really fantastic corn in our new town. I always look forward to sharing my mom's home tour. I especially love photographing her home in the fall. She completely shines with her autumn décor. 1. 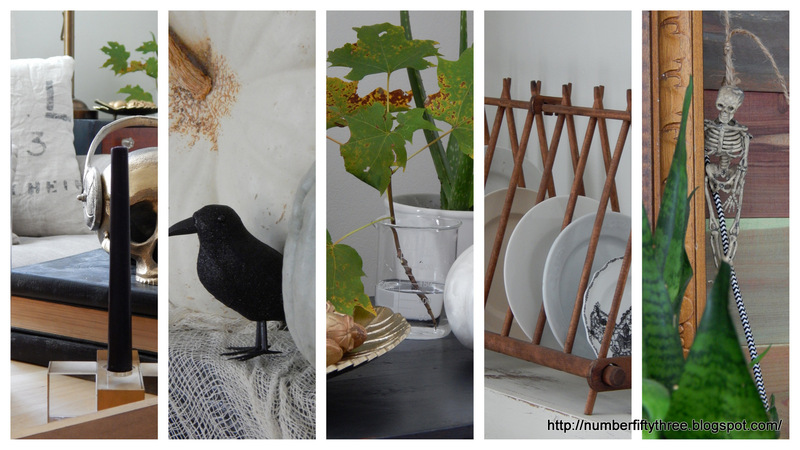 Autumn in my favorite season and I love decorating for it. 2. 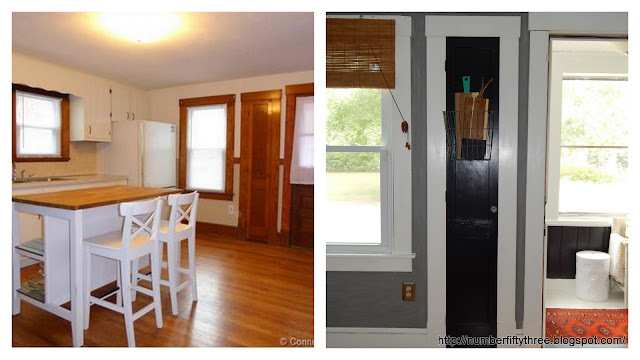 I completely missed out on decorating last year because we moved at the end of September and things were so hectic. So, here we go! I went with a really natural and organic theme for the dining room this year...lots of pumpkins, gourds, corn, apples and wheat, all in the white, tan and yellow family. The wheat on the mantel is from the craft store and I just bought up all they had during a sale and combined a coupon with it. Oh, and that adorable white pumpkin with the gold stem was less than $2 at Walmart! It's a Better Homes and Gardens salt shaker. I would say I am almost always satisfied when I finish a piece of furniture. 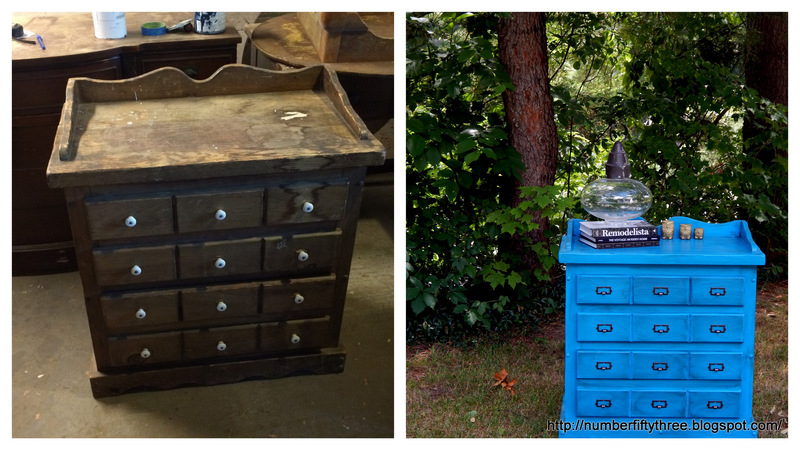 I'm super critical of my work and often times antique and vintage pieces are very temperamental. Some pieces, of course, I love more than others and this is one of them! This table came to us as a custom order. It had been purchased painted, but was not withstanding wear at all. In fact, every time it was wiped down after a meal more paint would rub off. The main issue was that it was not prepped properly for painting. I really, despite what I see, do not think that any paint is actually one step. There has to be some level of sanding, deglossing or priming. I wanted to share a project that I did last week with you all. General Finishes paint has remained my number one for several years now, and they have been so super supportive of my craft. Over the last four years, they have featured me in a variety of ways, from their social media pages, to their website cover picture, to their brochure, and I am so thrilled to share with you all today that they are currently featuring me as their September Blogger of the Month! I have the prettiest little custom coffee table to share with you all. There is something so dated about furniture from the 1970s. They all had that same heavy stain and poly that just completely doesn't work as time passes. 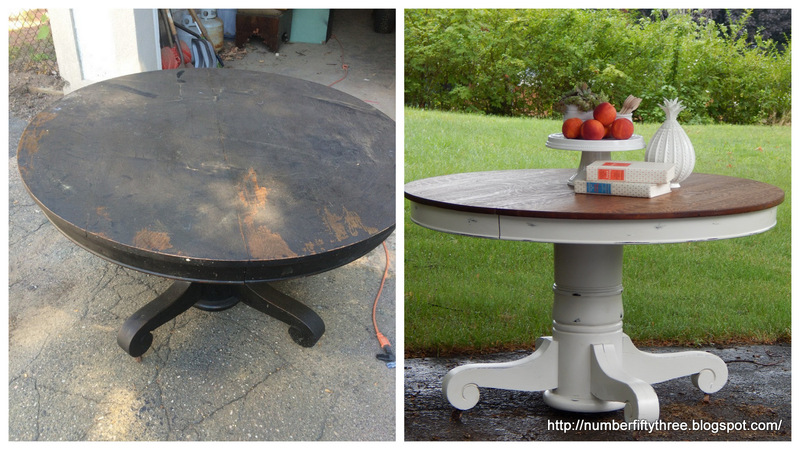 This month I took part in The Fab Furniture Flippin’ Contest and I am so thrilled to share my project with you all! We were so lucky to have the sponsorship of D. Lawless Hardware. They are by far my number one source for hardware on all my furniture makeovers, so I was beyond excited to be able to work with them again! If you haven't checked them out, I highly encourage you to do so. Not only do they have fantastic prices they have a giant selection of vintage inspired hardware. This is another one of those times, that happens every so often, that I see a piece of furniture and have an exact and immediate plan. 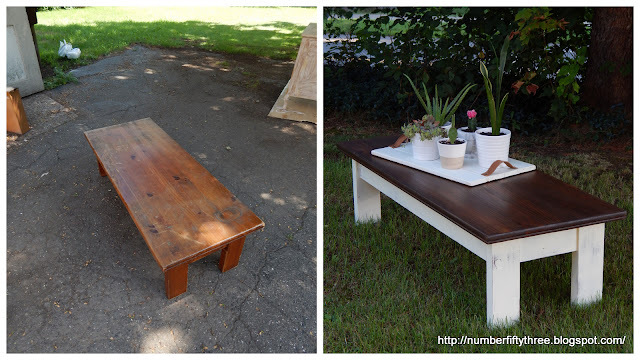 This coffee table is solidly built and looks handmade with some visible nail heads and distressed over time wood. That, coupled with the simple lines just called for a traditional farmhouse look and, to me, that means a creamy white base with a stained top and distressing. One thing that we love to do is take day trips around New England and New York state looking for antique stores and flea markets. Sometimes we plan these out and sometimes we just get in the truck and drive. Lately, during these trips Darrell has been encouraging me to document them and share our love of travel and antiquing with you all. So, I intend for this to be an ongoing series. 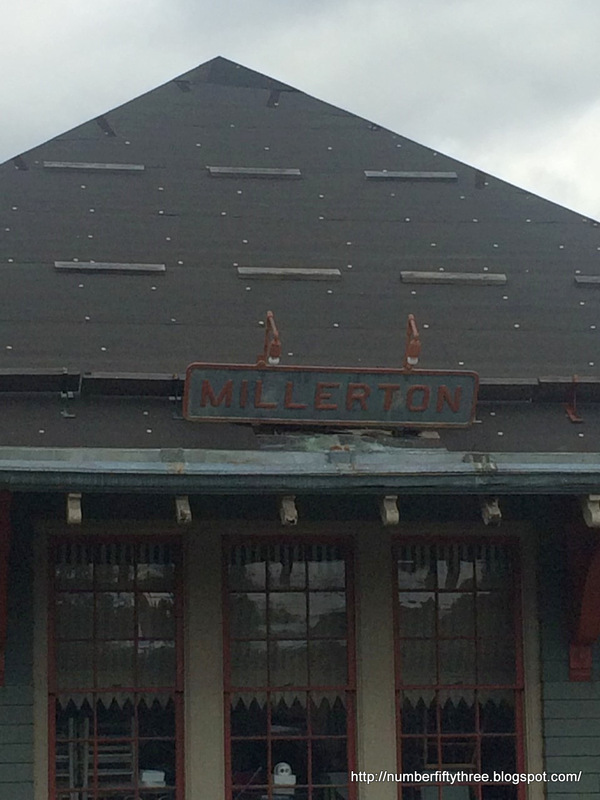 This past Sunday we took a ride to Millerton, New York. It's a town we discovered last year around Christmas on one of those random drives and we've been back a few times since. 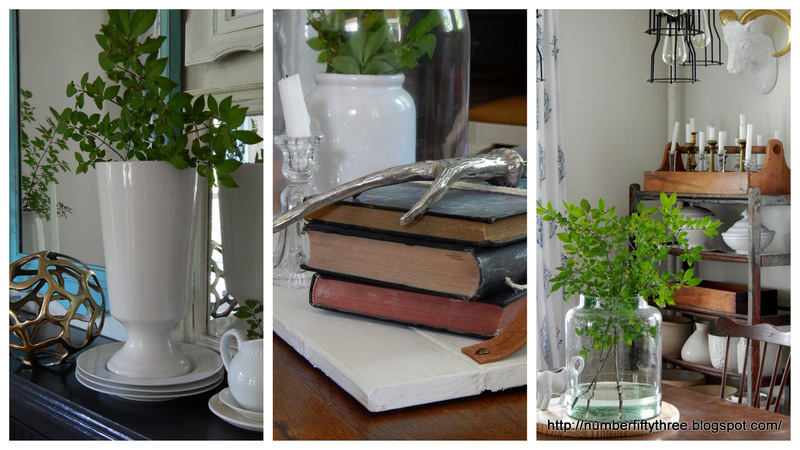 I played around with some late summer coffee table styling today and I wanted to share my results with all of you. It's really simple, but flows well with how I have the table and mantel decorated in the dining room. I love to keep my decorating light and simple and to have it blend well from room to room with color, objects and textures. I spend an ungodly amount of time perusing Pinterest and Instagram nearly ever single day (you can follow me here and here), so when Douglas Elliman, a global real estate firm asked me to design my interpretation of a Florida room I was all in. We've been continuing on with finishing up the dining room. It just kind of seems that the space is coming together and we've been finding the pieces that we need all at once, which is kind of amazing since it is all from flea markets/thrift stores/antique stores/etc. Not long after we moved here last fall I began seeing these antique bakery carts when we were out picking. I completely and instantly fell in love with their industrial + antique + farmhouse feel. How come it seems like every piece I finish is my latest, most favorite piece? It probably comes from the time, effort and in the case of this horrendous weather this week, sweat that is put into every single thing that goes through our workshop. By the time you have sanded, cleaned, primed, painted (several coats), distressed, sealed, staged and photographed, you get kind of attached. This sideboard is a piece that we found through a blog reader and had in our stash. It's being done as a custom order for a new client and, I obviously am so pleased with the results! I'm sharing another little area in our home today. This time a corner of our dining room. Slowly, but surely this place is coming together! As a housewarming gift my mom gave us this antique possum belly table. It's the perfect tone of wood with age and patina for our old farmhouse and I wanted to make sure it was incorporated somewhere in our dining room. Currently, it's serving as our drink station and I'm loving the mix of modern bits with the antique table. Kitchen storage was a concern of mine from the very first time we toured the house. There are a few cabinets on the main wall (that houses the sink, stove and refrigerator), but other than that the room provided no place for all my stuff. This was tough for me, even though I purged a ton before we moved. But, at the old house I had some pretty significant kitchen cabinets along with a pantry I had created in a closet in the adjoining office. During our first visit here I expressed my concerns to the realtor and she suggested I store my extras in the half bath. Granted, it had, originally to the home, been a pantry, but, it's now a bathroom. So that was a no for me, obviously. Blenders do not reside with toilets. I've been playing around with the idea of adding a gallery wall to our dining room to add a little more detail and finish. I'm focusing on the wall where we installed our antique mantel and had initially played around with a plate wall flanking the mirror. Loved it/hated it/left it up for a few days and then took it down because it just wasn't right. Really what I wanted was a mirror gallery wall. Remember when I did one at the old house (here). I miss that dining room SO much. Seriously. That was dining perfection to me and I wanted to add a little touch of that vintage inspiration to this home. I love when collections are grouped together. Multiples always make everyday objects look intentional and more impressive. We were out for a drive a couple of weeks ago and stumbled upon this coffee table. (Honestly, last year I moved about 30 minutes away from where I had previously lived for 20+ years and when my Mom comes to visit, sometimes we drive to Targets around Connecticut because they are mostly freestanding and seem to have more, and I can't get enough of Target.) 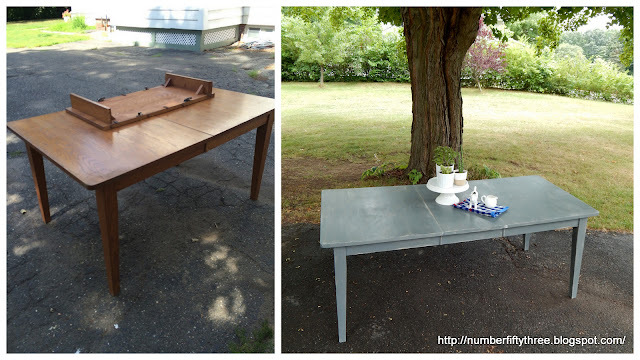 Anyway, this table was in an incredible need of a makeover, but I just adored the shape and, other than needing a couple of coats of paint it was in sturdy and perfect condition. 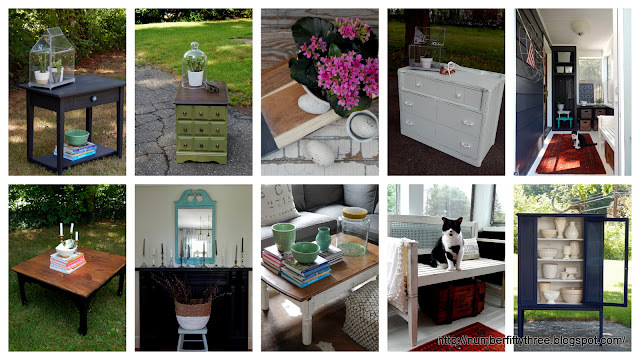 This month I took part in The Fab Furniture Flippin’ Contest and I am so thrilled to share my project with you all! We were so lucky to have the sponsorship of the Old Fashioned Milk Paint Company. 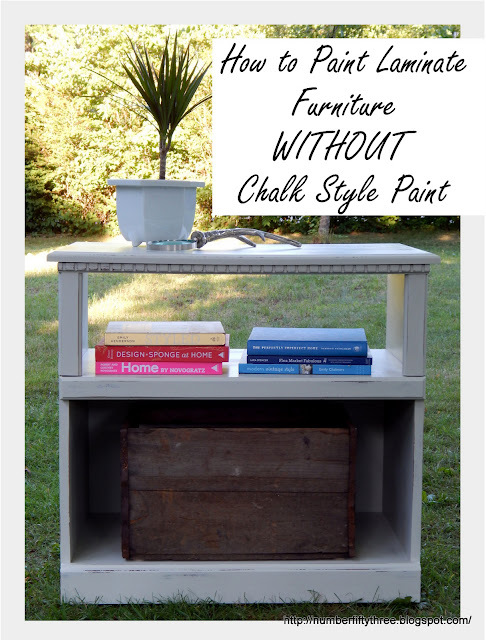 I was particularly happy with this because in all of my years of furniture painting, I never used real milk paint and I have been just itching too! Also, their theme for this month was Farmhouse Fun, which is so appropriate since I was using the paint on a piece we were keeping for our old farmhouse that we are renovating. 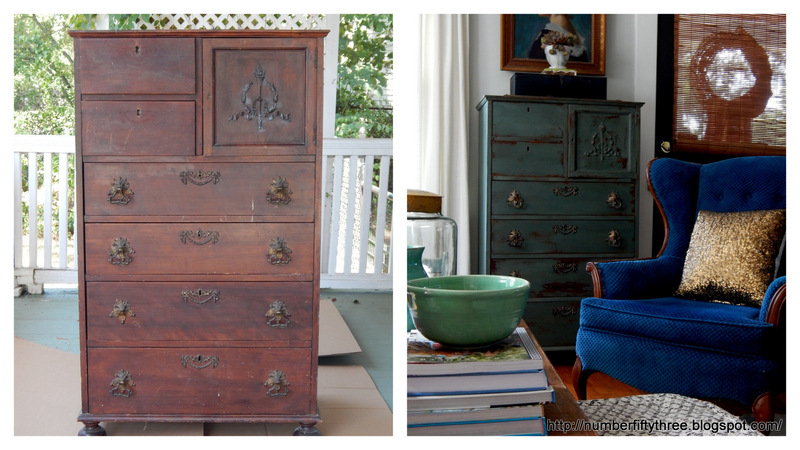 Ready to see what my finished antique dresser? We recently happened upon some wooden spool tops and I thought this would be a great opportunity for us to dabble in creating some tables sell (and OK...probably one to keep for our front porch). The other day I found this P. Kaufman Best in Show Fabric and, honestly, even though I am a tried and true crazy cat lady, I bought a yard. The last few days I've been working on getting as much done (mostly paint wise) in our kitchen before we tackle the tough stuff...new island, sink, counters, backsplash, etc... and I wanted to share the progress with you all even though the lighting wasn't fantastic today. I couldn't wait to photograph this weathered gray dining table that I recently finished for a client. It's one of the more unique ones that I have done and is a great example of a layering paint. It started as a plain wood table. 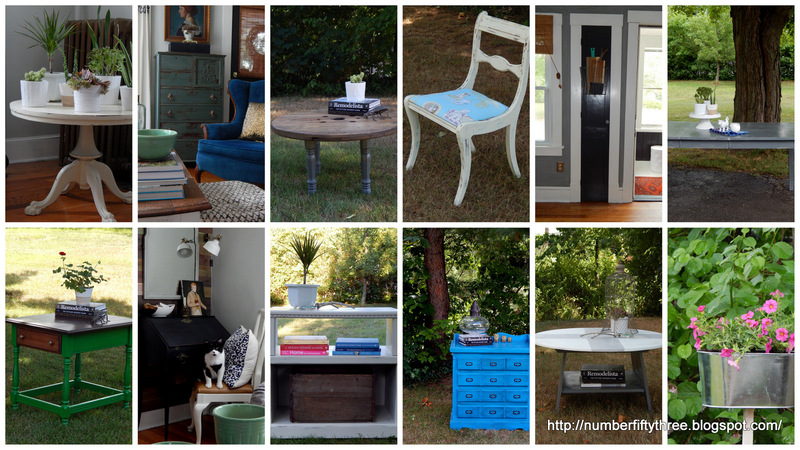 This was originally shared as my June contributor post at Jennifer Rizzo Design Company. 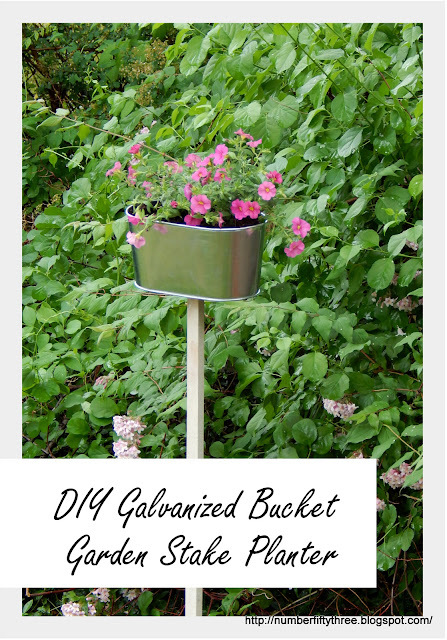 I find that garden ornaments tend to be on the pricey side, so I created this little project to add color and interest to our landscaping with very little money. I typically like to keep things pretty simple when I refurbish furniture, but sometimes you are just drawn to a bold color and run with it. 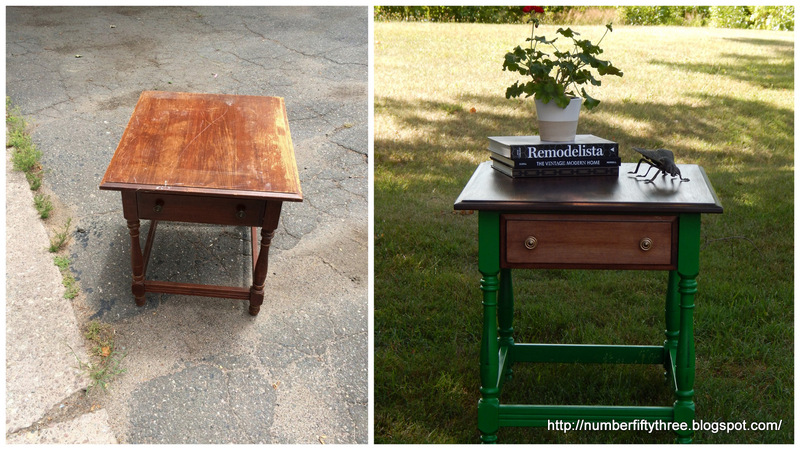 And, I think this end table we recently picked up looks fantastic in General Finishes Emerald Green. It's a perfect bold, true green. I've been honing in on our living room lately. We've been in this house for close to a year and the progress I've made, decorating wise, has been slow, to put it mildly. But, in the last few weeks we focused on making an antique coffee table, switching out sofas, and rearranging furniture. One thing we brought into the room was this antique secretary. It's a family piece that my parents bought when I was a child and probably the only thing I would never get rid of. I honestly cannot even believe I'm writing this post right now. As a general rule I do not paint laminate furniture. Like ever. I just look the other way and say no. We recently picked up this cabinet in our neighborhood and, while it needed some TLC (think a little patching, paint, new hardware) I just thought it was so cool and I could see so much potential. 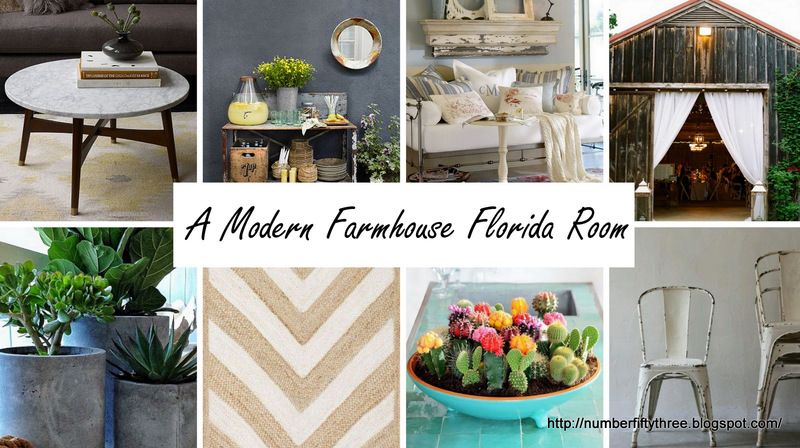 I'm so thrilled to share phase one of our mudroom with you all! (I'll get into why this is phase one below.) Anyway, I've noticed in the nearly 9 months that we have lived here that almost everyone who visits comes through the mudroom (and of course our family is in and out of this space all day) so I really wanted to get the look of the room exactly how I had pictured.